This week on Chefs Coast to Coast I spoke with Tom Rosenfeld, owner of Heartland Café in Chicago’s Rogers Park neighborhood. 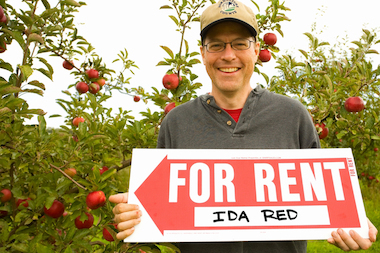 A self-proclaimed lover of apples, Tom started his relationship with the restaurant world by first being a food producer. Frustrated that he couldn’t find a decent organic apple in the city, he figured he could grow them himself. He bought a farm in Michigan and the passion grew from there. In 2012, Heartland Café- a long time Roger’s Park favorite, was up for sale, and Tom decided to bring his love of clean organic produce from the farm to the table. Since then, Heartland Café remains a place where dishes are not only delicious, they are made with ingredients that are organic and carefully sourced by Tom himself. Listen to find out about his journey from producer to restauranteur, what his recipe for success is, and of course, how to make the perfect apple pie.